John Thomas Bigge (1780–1843), judge, was appointed by the Secretary of State as commissioner to investigate complaints that transportation was no longer an effective deterrent nor the means of reformation in the colonies. 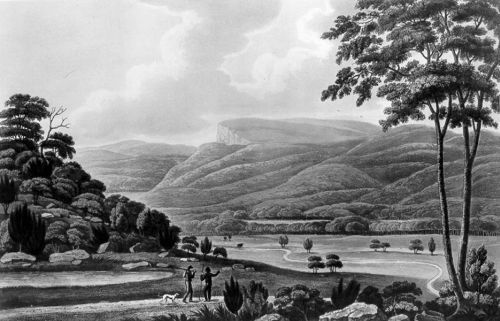 Bigge toured New South Wales and Van Diemen's Land between 1819 and 1821. He found that in Van Diemen's Land there was no surplus convict labour, and those in government employment worked harder and were more strictly disciplined than in New South Wales. The legal dependence on New South Wales was severely felt, and Bigge recommended that Van Diemen's Land be established as a separate colony; criminal jurisdictions be separated; a criminal court be created; and the powers of the lieutenant-governor in Hobart Town be strengthened. He approved Sorell's penal establishment at Macquarie Harbour, and to balance the population recommended the government provide free passages for females. The main results of Bigge's recommendations for Van Diemen's Land were that it became independent in 1825, and control of convicts was tightened. Further reading: J Ritchie, Punishment and profit, Melbourne, ; J T Bigge, Report of the Commissioner of Inquiry on the State of the Colony of New South Wales, London: House of Commons, 1822 (Australiana Facsimile Editions, No. 68 Adelaide: Libraries Board of South Australia, 1966); J T Bigge, Report of the Commissioner of Inquiry on the Judicial Establishments of New South Wales, London: House of Commons, 1823 (Australiana Facsimile Editions, No. 69 Adelaide: Libraries Board of South Australia, 1966); J T Bigge, Report of the Commissioner of Inquiry on the state of Agriculture and Trade in the colony of New South Wales, London: House of Commons, 1823 (Australiana Facsimile Editions, No. 70 Adelaide: Libraries Board of South Australia, 1966).